March 20 marks the end of winter and the beginning of spring, meaning the days and nights of enjoying your gas-burning fireplaces are nearing a close for another year. Your spring cleaning plans should definitely include your gas fireplace, as keeping it clean and in top running condition helps add years to its life while helping make sure you, your family and pets are at their safest in your home. A licensed gas technician should inspect your fireplaces’s vents at least once a year, ideally at the beginning and end of each cold weather season. The technician will check for any stoppages, cracks or other malfunctions that can lead to the fireplace not working properly. 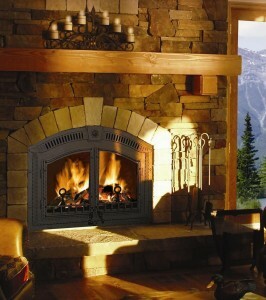 The fireplace’s valves should also be checked and inspected, Some fireplace owners may wish to turn the gas line off with the coming of warm weather, extinguishing the pilot light; in more humid summer climates, keeping the pilot light burning low will help to keep humidity from accumulating inside the firebox. Although the gas-burning logs, coals, or stones can be removed from the gas fireplace, they should never be rearranged from their factory-set conditions. Altering their configuration can cause malfunction and – in some cases – a possible gas leak. If this happens, consult a gas technician for help in resetting them. Gas logs, stones, and coals can all be cleaned by scrubbing them outside with a soft-bristled brush. Vacuum the firebox, making sure to use nozzle attachments to thoroughly clean any nooks or crannies in which trash or dust has accumulated. As the spring and summer seasons stretch on, additional vacuuming will likely become necessary to remove dust, pet hair, and other contaminants that can pose a danger when the gas fireplace is re-ignited come winter. Gas fireplaces sitting idle for weeks or months can sometimes become a source of curiosity to small children and pets. Make sure the firebox is closed off using a screen or cover, as pets and small children can shake lose or damage pipes and valves by climbing inside the firebox. Even though the wood-burning fireplace remains the most elegant and traditional form of home heating, it also needs regular supervision and care to remain working in peak condition. Brick, stone, and masonry chimneys are subject to cracks and fissures that develop after prolonged exposure to the elements. In particular, water that seeps into cracks expands when it freezes in chilly weather, creating ice crystals that further weaken the masonry’s integrity. Repairing all such gaps and ruptures helps keep the fireplace working at maximum efficiency. The tops of chimneys, especially those covered by a hood or bonnet, are a favorite nesting spot for birds and even other forms of wildlife. 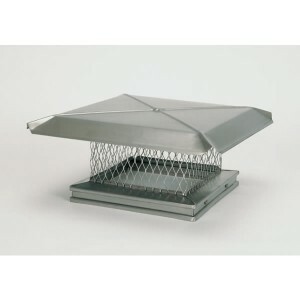 Using a chimney cap will prevent animals from making their way inside the chimney and creating nests and other structures that can block smoke rising through the flue. Storms and high winds can also hurl debris into the flue. Fireplace experts recommend cleaning the flue once a year or hiring a professional chimney cleaning company to make sure the flue and top are clean and clear. Creosote is a gummy corrosive by-product of burning wood that is left behind when burning oils and gasses mix together along the flue walls. It actually helps create more of itself, as accumulating creosote layers trap more oils and gasses that in turn coalesce into more creosote. A significant fire hazard that severely hinders proper ventilation, creosote also gives off a noxious odor when exposed to humidity. According to the National Chimney Safety Institute of America, chimneys should be cleaned as soon as creosote buildup reaches 1/8 inch thickness. Factory-built fireplaces should get cleaned whenever creosote buildup becomes readily apparent. The firebox, or area “inside” the fireplace that contains the fire, can be cleaned using warm soapy water or cleansers recommended by the fireplace manufacturer. Experts additionally recommend using a manufacturer-recommended creosote remover and wire brush to remove deposits inside the firebox, while screens and doors can be cleaned with regular household solutions. 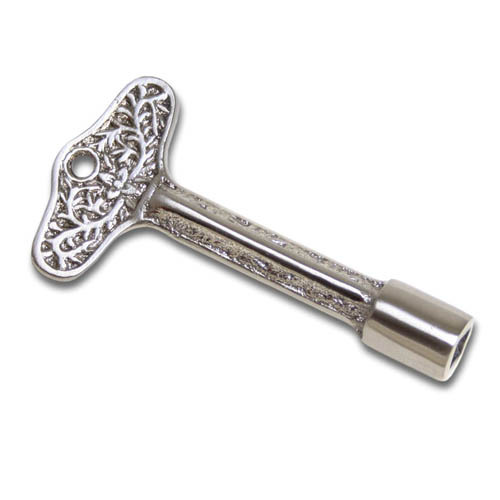 Brass fireplace tools can be cleaned without scratching using Worcestershire sauce and a dry rag. 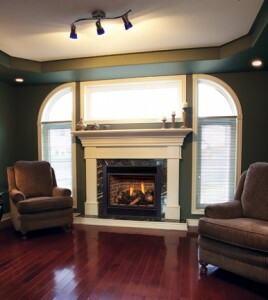 Finally, use an ash vacuum to remove soot, debris, and creosote from the firebox and hearth. The ash vacuum’s higher filtration capacity will make sure no particulate matter escapes into the surrounding room. Gas fireplaces offer their users a unique combination: the elegant, traditional charm of a wood-burning fireplace as well as the convenience and technology of electric models. However, gas-burning fireplaces share many of the same maintenance and care requirements as both wood-burning and electric fireplaces. Owners need to take regular precautions to keep their units in top operating condition. Owners of gas fireplaces that use vents should have their units inspected at least once a year by a licensed gas technician, who will ascertain any malfunction or defect. Before returning the unit to regular use, experts recommend checking the gas fireplace’s firebox, gas logs and gas lines for any damage or excessive wear and tear. During spring and summer, the gas line’s main valve can be shut off and its ignition key removed, and the pilot light can also be extinguished. On the other hand, some experts recommend leaving the pilot light burning to reduce humidity inside the firebox. Vents should always remain clean of debris or other non-fireplace materials. Logs, coals, or stones in a gas fireplace should never be rearranged as this can present a serious risk of malfunction. Consult a licensed gas technician for help in restoring the logs, coals or stones to their original configuration. When cleaning, take the parts outside and use cleansers recommended by the manufacturer as well as soft-bristled brush. Clean the firebox by vacuuming dust and other debris from the floor and walls. Clean the glass front panels with an ammonia-free window cleaner. Never burn any additional materials inside the gas fireplace. This can present an additional fire hazard as well as risk clogging the gas vents with burned-up debris. 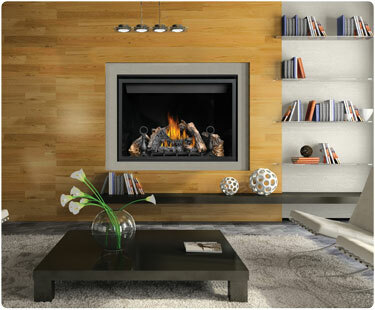 Many gas fireplace manufacturers, as well as retailers, offer expert and certified help in answering cleaning and maintenance questions and concerns. In many cases the information is available free of charge to consumers. Electrical fireplaces offer a much cleaner and low-effort alternative to wood-burning and gas fireplaces, but still share many of the same potential maintenance and care concerns for their owners. Nevertheless, they’re quickly becoming the fireplace of choice for those looking for a modern approach to the most traditional of home heating methods. 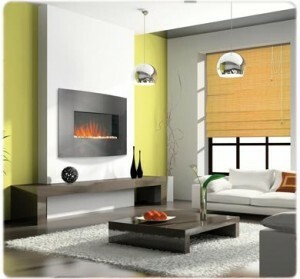 Possibly the greatest advantage of the electric fireplace is its versatility around the house – because they are so low maintenance and produce no debris or soot, they’re easily and cleanly used in every room in the home, including the bathroom (imagine a fireplace above a garden tub), the bedroom, and even the kitchen. Some electric fireplaces are also included inside larger entertainment centers that contain space for televisions and other home electronics. Electric fireplace owners should regularly inspect their units, to make sure the wiring and components are working properly and in good repair. Though the electric fireplace’s wiring and parts are hard to reach for pets and rodents, some animals may still be able to reach and chew through the wires. Contact the manufacturer or a licensed electrician to assist in repairs if and when this happens. During the spring and summer, you may wish to unplug the electric fireplace as a safety precaution, and to store the plug out of reach of pets and children. Owners should also replace the light bulb as recommended by the manufacturer – typically, every two to three years. 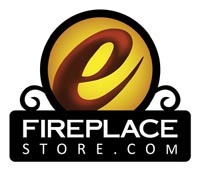 Besides the instructions packaged with electrical fireplace units, there are any number of resources available by phone, online and by mail from the manufacturer and from fireplace retailers, some of whom employ certified fireplace experts to answer their customers’ questions.